i just finished quaker summer and enjoyed it, but not as much as the other 2 lisa samson books i had read and loved so much that i vowed to read all of her books. quaker summer is good - you'll enjoy it. 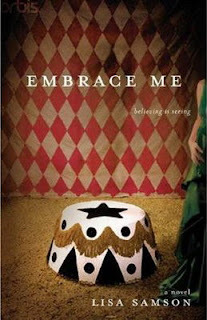 i can't wait to read embrace me. i really like her writing style. i love that the characters are so real and that she touches on subjects that many christian authors won't - or maybe she just deals with them in a different way that i appreciate. she is a gifted writer for sure. enjoy!